The first step is to simply listen. You’ve likely already done that. Taking “massive action” isn’t the point. It will likely get you nowhere. The all time hockey legend Wayne Gretzky famously said he doesn’t go to where the puck is. He goes to where the puck will be. And that’s why we listen-in with social media. The point of listening is to know what’s being said about your industry, products, services, top leaders, etc. across the web and then be able to go deeper. Because conversations will occur with or without you. Also, social media in itself will not create buzz around you – positive or negative. Instead, it will reveal character. In this sense, learn to be an informed participant in the dialogue first. Understand the lay of the land. Then take your first business steps. Ignorance is not bliss. Practice being prepared to take a hard, realistic look at Who You Are through the rest of the world’s eyes so to better understand how to “talk” amongst peers and followers as a valued partner. 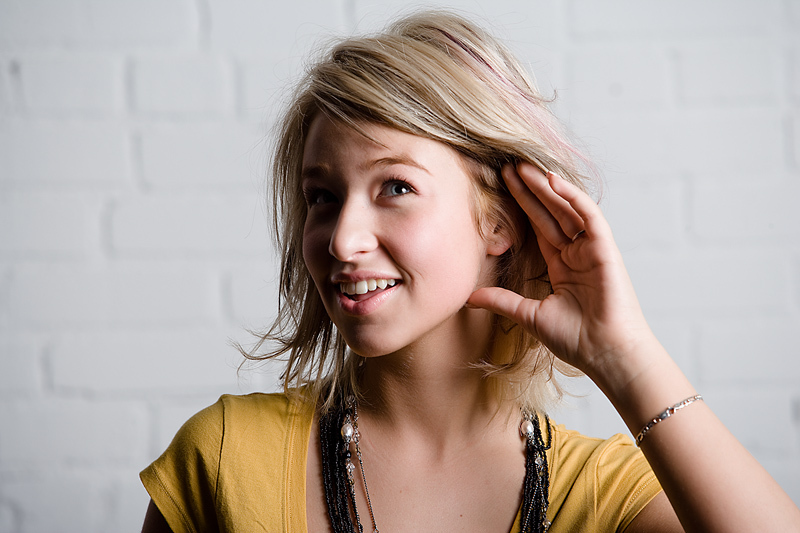 Consider “listening” as extremely valuable market research. You have to keep a pulse on the market you’re targeting. The first step is to grow bigger ears, and set up your own method of listening with Google Reader. Build keyword searches for your company name, your industry terms, and the people/community you want to associate with. Alerts come straight to your inbox, and you can set your preferences for frequency. Search for your name, terms from your industry, or terms to see what’s being said about you. You might be surprised at what you find. Use Google Plus, or LinkedIn and definitely YouTube in similar ways. Write down a persona you are going to OWN. Tweak the persona as needed to make it fit your personality. Keep it simple and strategic. Simply focus on delivering one style of messaging per social network site. You make things happen. You make people feel appreciated. People like and trust you. You’re easy going. Despite not belonging to a particular tribe, you jump around. You’re accepted wherever you go. You’re a person or business recognized (or seeking recognition) as deeply understanding its business, and the needs of its customers. You share ideas, encourage thought. You support folks on their journey by educating, empowering and entertaining even. You’re on the leading edge. You have a pulse on what’s going on. You share and pass great info. You see your job as to educate, solves problems, support community, and be a true go-giver. I am creating a presentation covering some of the topic you cover in this blog. You hit the nail on the head. Great article.